to play a major role in political campaigns to reach out to citizens in large numbers. 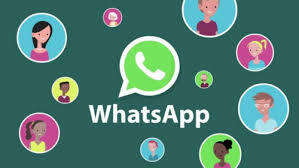 "WhatsApp groups continue to connect family, friends, coworkers, classmates and more. As people turn to groups for important conversations, users have asked for more control over their experience," the Facebook-owned company said in a statement. The messaging app has added that a new privacy setting in which an invite system will help users decide who can add them to groups. Previously, WhatsApp users could be added to groups without their consent. To enable the feature, users can go to 'settings' option in WhatsApp app and select one of three options -- nobody, my contacts, or everyone. If they choose nobody, users will have to approve joining every group to which they are invited. Upon choosing my contacts option, users from the person's address book will be able to add them to groups. The user will be given three days to accept the invite before it expires, the statement said. "With these new features, users will have more control over the group messages they receive," WhatsApp said. These new privacy settings will begin rolling out to some users starting Wednesday, and will be available worldwide in the coming weeks to those using the latest version of WhatsApp, it added. WhatsApp, which counts India as one of its largest markets with over 200 million users, had faced flak from the Indian government after a series of mob-lynching incidents, triggered by rumours circulating on the messaging platform, claimed lives last year. Under pressure to stop rumours and fake news, WhatsApp had last year restricted forwarding messages to five chats at once. It has also been putting out advertisements in newspapers and running television and radio campaigns offering tips to users on how to spot misinformation.